Hello my darlins :) Hope your Monday is off to a good start! 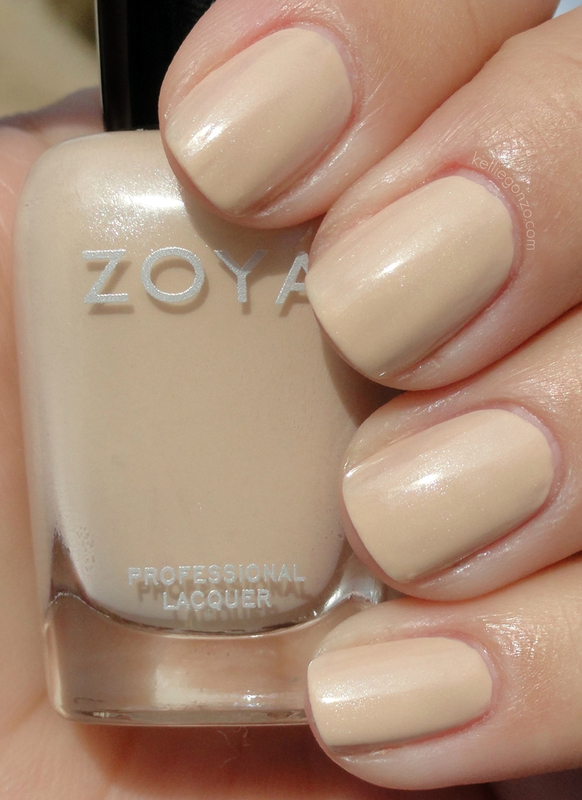 I have a Spring collection from Zoya to show you today. The True collection has three shimmers and three crèmes in varying shades of spring. This is Skylar, which is my favorite name EVER. I got a new car a few months ago, a white Subaru Impreza, and I named her Skylar! This polish is a really beautiful dusty blue filled with silver and gold shimmer flecks. This is two coats. Next is Cho, another name I like, mostly because of my Harry Potter addiction (yay shout out to the Ravenclaws!). This is described as a yellow-toned light soft peachy beige with a hint of ultra fine silver shimmer. Honestly it's not that exciting and rather thick. Not my favorite to apply, but it's very pretty on the nail. Two coats. This is Lotus, whom you saw the other day when I posted about Lacquistry Shredded. It is a medium smoky purple with subtle cool toned pink sparkles. This is two coats. Bevin is next, another unusual name, that I've acutally only heard as a guy's name. This is a dusty, medium sage green with teal tones. It's different from many of the other greens out there in the "mint" range. This is also two coats. The other creme is Farah, a beige khaki with green undertones. Very safari chic. This one is actually nicer than Cho but still on the thick side. Two coats. And finally is Tru, a stunning red toned grape polish with lots of warm pink shimmer sparkles. I wish the shimmer was a little more pronounced when not in direct light, but I still really love it. This is two coats like the rest of them. You can get these on www.Zoya.com and at salons and stores like Ulta for $8 each. Stay tuned for the second Spring collection, the Fleck Effect polishes.